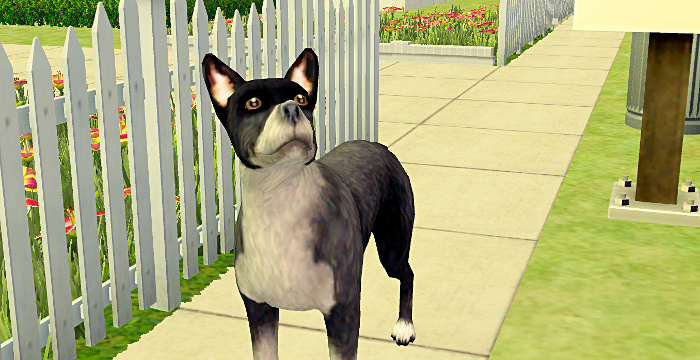 We have a new household in Woodpine Valley! 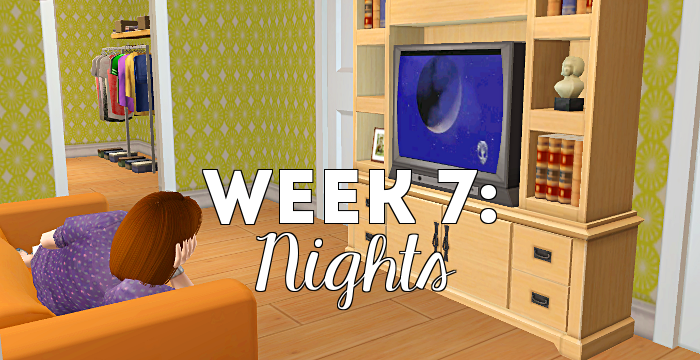 Lauren Nights (aka simnights over at Boolprop) has decided to move to Woodpine Valley! She signs the lease on an apartment. 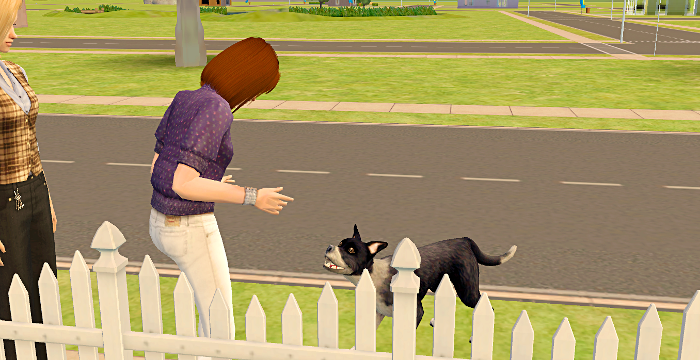 Everyone say hi to Lauren and her dog Bart. 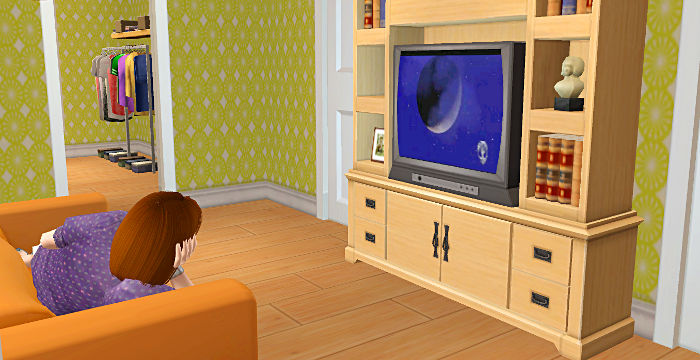 Lauren is Knowledge/Popularity with the LTW Become Media Magnate. Turn ons: brown hair, athletic. Turn off: underwear. 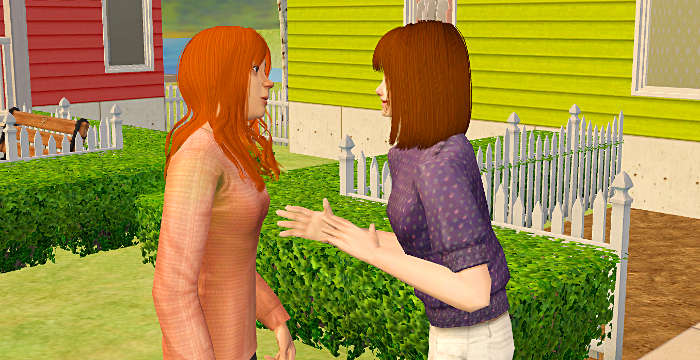 Lauren gives Bart some love and then introduces herself to her neighbors, Dane, Mistelle, and Allison Norris. 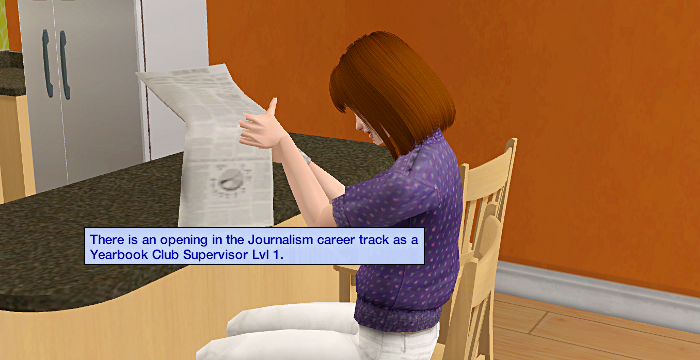 Then she looks for a job in Journalism with no luck. She also isn't able to find a job in anything that's currently open, but hopefully that'll happen soon. Her first day is kinda boring. 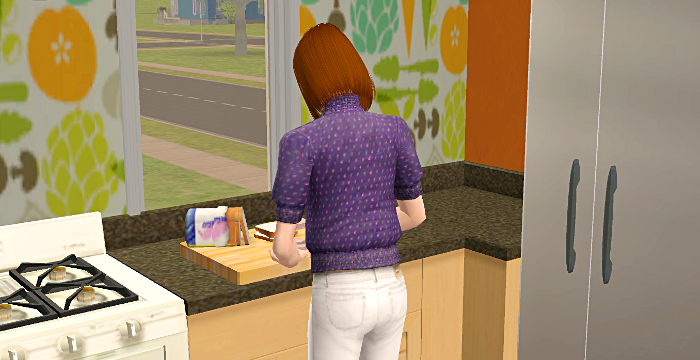 She makes some lunch, watches a soap opera about some town called Pleasantview, talks to her neighbors, and then ends the night with some spaghetti and going to bed early. She did roll a want to study Couples Counseling, so I had her work on that. Now if she becomes furious at anyone, she can instantly go into Law. 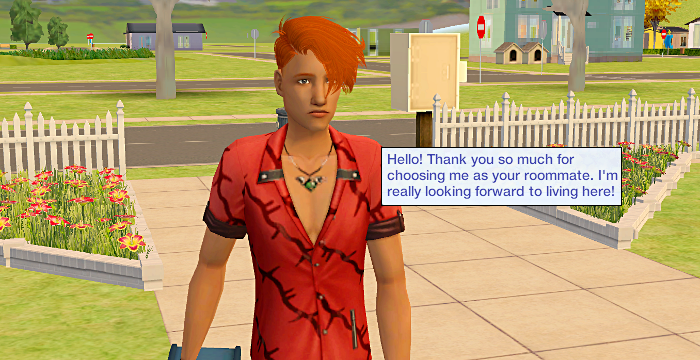 Lauren wanted a roommate, so she puts an ad in the newspaper and Dion Hutchins is the first to respond. 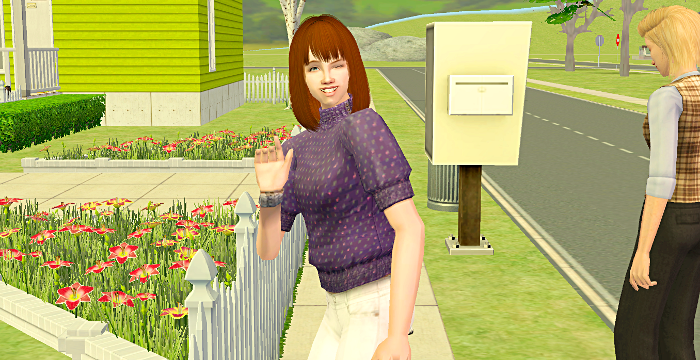 Lauren was so excited to meet her new roommate that she didn't even bother to get dressed before greeting him. 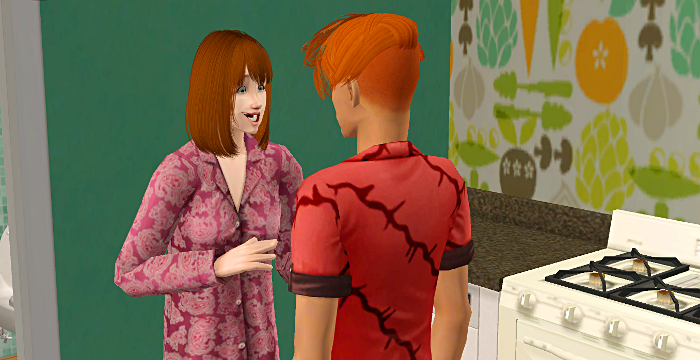 It was like half way through the week and Lauren hadn't flirted with anyone, so I let her flirt with Dion. 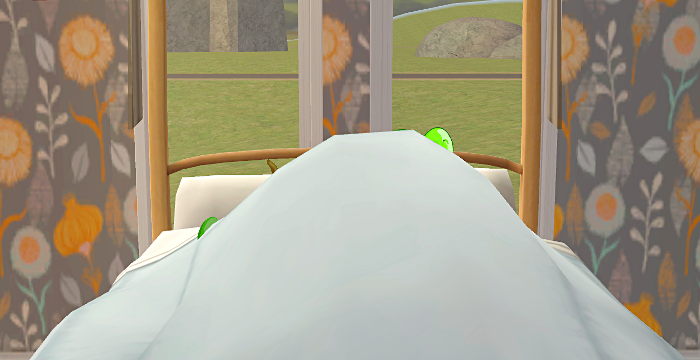 They have 2 bolts, so we'll see if anything else happens between them. On Friday, Lauren FINALLY finds a job in something that's open. She went to work right away and got fired because of a chance card, but it really meant she got demoted. Luckily she still got paid for the day and that's all I care about. Luckily her second day at work goes better. I'm really curious to see what would happen if these two go on a date, so Lauren asks Dion on a date! They're quite a cute couple actually. I mean this was inevitable, right? 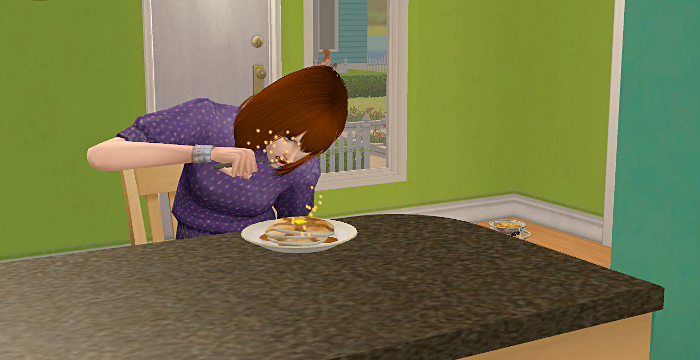 Lauren takes a break to shovel down some pancakes and then is right back at the date. They end on a dream date (and Dion fell in love too, although I missed it). 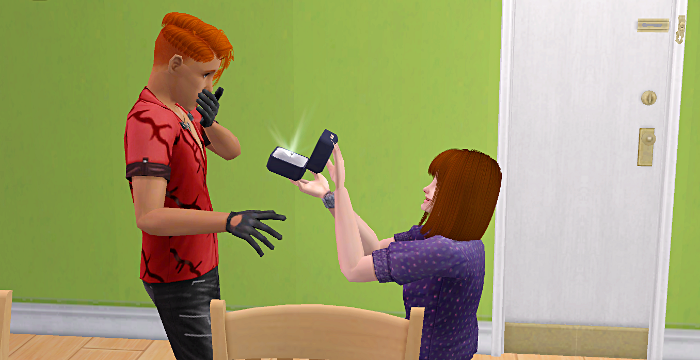 Early on Monday morning, Lauren proposes to Dion because they both have the want. 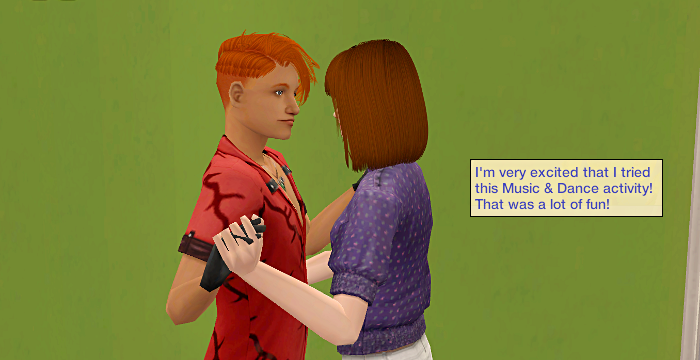 Dion is a Family sim so he actually wanted to get married pretty early on. Lauren then kicks Dion out so she can safely move him in next week. 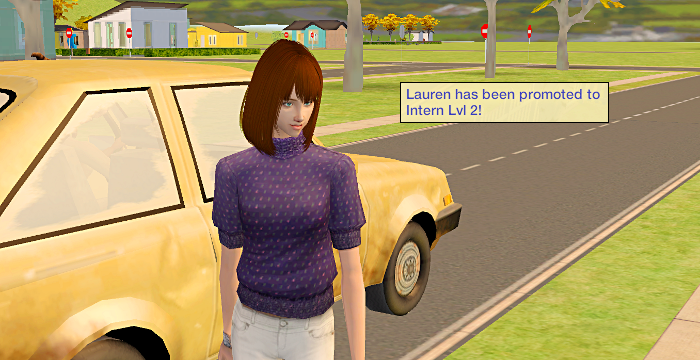 The week ends with Lauren finding a job in Journalism and heading off to work right away.